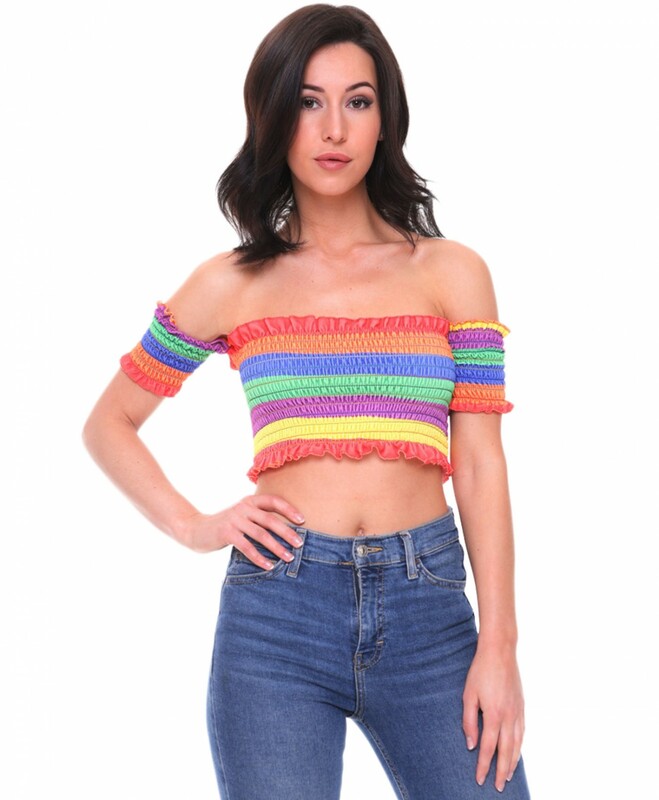 Feel the real summer with this rainbow stripe crop. Featuring short sleeves and frill hem detail, this cute bardot off the shoulder top is definitely the missing piece of your summery kit. Just pair it with denim shorts for a night out or for holiday beach vibes.